Like the other Balearic Islands of Ibiza, Formentera and Minorca, Majorca is a highly popular holiday destination, particularly for tourists from the United Kingdom, Germany, Ireland , Poland and the Scandinavian countries. Majorca or Mallorca is an island located in the Mediterranean Sea, one of the Balearic Islands. Since the 1950s, the advent of mass tourism has transformed the island into a centre of attraction for foreign visitors. Burial chambers and traces of habitation from the Paleolithic period (6000–4000 BCE) have been discovered here. The island was occupied by the Romans in 123 BCE under Quintus Caecilius Metellus Balearicus. It flourished under Roman rule, during which time the towns of Pollentia (Alcúdia), and Palmaria (Palma) were founded. The local economy was largely driven by olive cultivation, viticulture, and salt mining. Majorca has two mountainous regions each about 70 km in length. These occupy the north- western (Serra de Tramuntana or Tramuntana range) and eastern thirds of the island. The highest peak on Majorca is Puig Major (1,445 m) in the Serra de Tramuntana. As this is a military zone, the neighbouring peak at Puig de Massanella is the highest accessible peak (1,364 m). The northeast coast comprises two bays: the Badia de Pollença and the larger Badia d’Alcúdia. The northern coast is rugged and has many cliffs. The central zone extending from Palma is generally flat fertile plain known as Es Pla. The island has a variety of caves both above and below sea-level. Two of the caves above sea-level also contain underground lakes and are open to tours. Both are near the eastern coastal town of Porto Cristo, the Coves dels Hams and the Coves del Drach. The climate is Mediterranean, with markedly higher precipitation in the Serra de Tramuntana. Summers are hot in the plains and winters mild to cool, getting colder in the Tramuntana range; in this part of the island brief ep isodes of snow during the winter are not unusual. 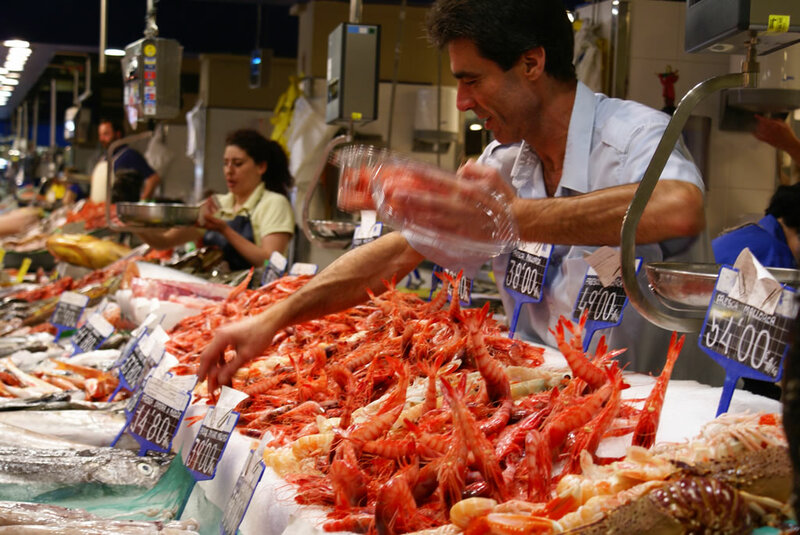 Despite Majorca’s location in the Mediterranean, seafood is often imported. Olives and almonds are typical of the Majorcan diet. The island has over 4 million almond and olive trees. Among the food items that are Majorcan are sobrassada, arros brut (saffron rice cooked with chicken, pork and vegetables), and the sweet pastry ensaïmada. The popularity of the island as a tourist destination has been steadily growing since the 1950s with many artists and academics choosing to visit and even live on the island. Visitors to Majorca continued to increase with holiday makers in the 1970s approaching 3 million a year. 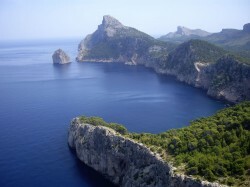 In 2010, over 6 million visitors came to Majorca staying at the many resorts. With thousands of rooms available for Majorca holidays it’s economy is largely dependent on its tourism industry. Holiday makers are attracted by the large number of beaches, warm weather and high quality tourist amenities. Why Spain may fall you in love?